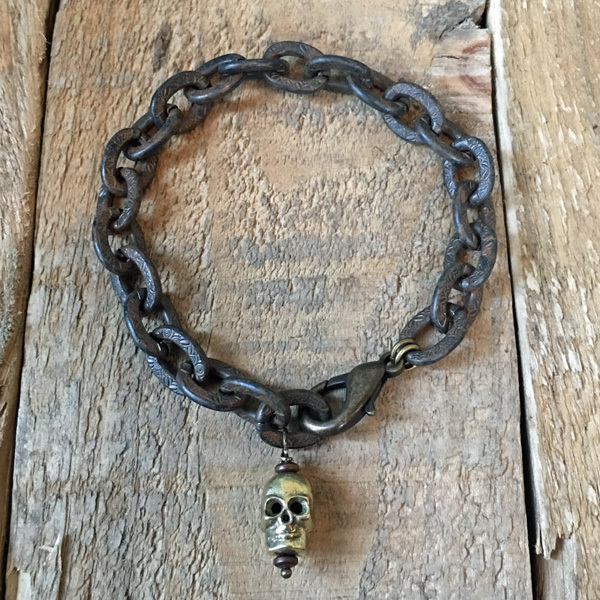 A simple African brass skull drops right by our oversized clasp, and is the perfect accent for our heavy patterned rusty black chain. 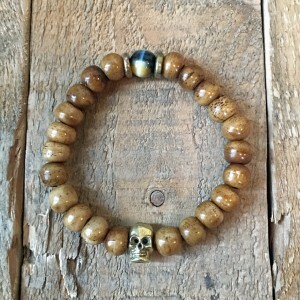 Measures 8 inches in length. 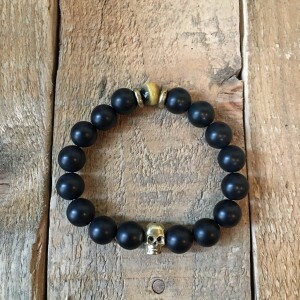 This bracelet makes any guy look like a rock-star!